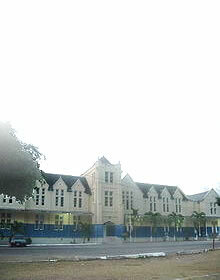 With Independence in 1962, the Union Jack was replaced by the Jamaican flag. The colours of black, green and gold symbolise a country willing to prosper in spite of trying circumstances: Hardships there are but the land is green and the sun shineth. The colours of the flag black, green and gold symbolise the sun shineth, the land is green and the people are strong and creative. Black: strength and creativity. 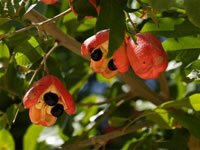 The Ackee though not indigenous to Jamaica, has remarkable historic associations. It was originally imported from West Africa and probably brought here on a slave ship. Jamaica is the only place where the Fruit is recognised as an edible crop although the plant has been introduced into most of the other Caribbean Islands, Central America and even Florida. 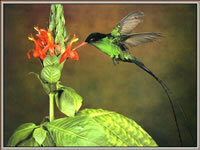 The Doctor Bird or Swallow-Tail Humming Bird, lives only in Jamaica and is one of the most outstanding of the 320 species of Humming Birds. 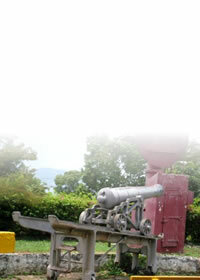 The Lignum Vitae is indigenous to Jamaica and was found here by Christopher Columbus. It is believed that the name 'word of life' was then adopted because of its medicinal values. 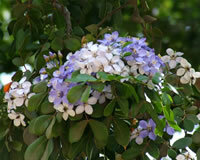 In addition to producing an attractive blue flower, the plant itself is extremely ornamental. The wood is used for propeller shaft bearings in nearly all the ships sailing the Seven Seas. 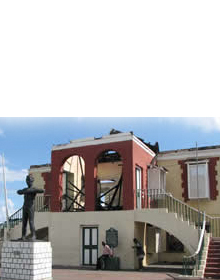 As a result, the Lignum Vitae and Jamaica are closely associated with shipbuilding. 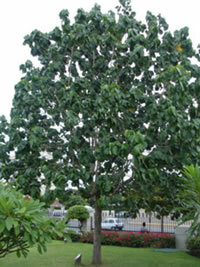 The Blue Mahoe is one of Jamaica's primary economic timbers. It is used mainly for making furniture. This is largely a legacy from the British with slight modifications. 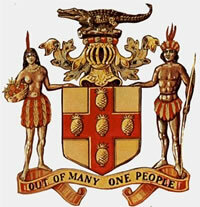 The pineapple represents a fruit considered indigenous, the Tainos the first inhabitants and the crocodile, the indigenous reptile in Jamaica. The phrase which is inscribed on the emblem used to be in Latin "Indus-uteroque Serviet-UNI. In 1962, the phrase was translated to English "Out of many, one people".